To All Attendees of my 2010 Australian Seminars. As you know I am not going to do any more seminars as I am retiring from personal presentations. As a 'fairwell' to you, I have decided to give you an opportunity to get the complete set of DVD's of the entire Seminar I had filmed prior to meeting you. The normal price is $497.00 and the special price for you is $247.00. Many of you told me that you were astounded at the energy and passion you witnessed during the days we spent together. In your development life you might need to visit that 'energy & passion' again as well as a reminder of exact instructions of what to do ... here is you last opportunity. Once I am gone, my children will just get on with their lives and producing Dad's DVD'S will be too much trouble. So think about getting your own set of DVD development instructions now. I made the following video message after the US tour and I have never done a US tour again as it is so tiring and now I am doing my last Australian seminars. So as you watch the short video, remember we are reaching a date close to when you can last access these DVD'S. This DVD Seminar was spread over 3 days. Two days are the same instructional days you have already experienced. The third day comprises two DVD's and covers a complete filmed tour of the Behind Scenes Workings of The Trump International Hotel & Tower in Las Vegas. You visit parts of the building the public never see, but you should. I am the only developer ever to be given access to a Trump Building by the man himself and his JV Partner, Phil Ruffin. 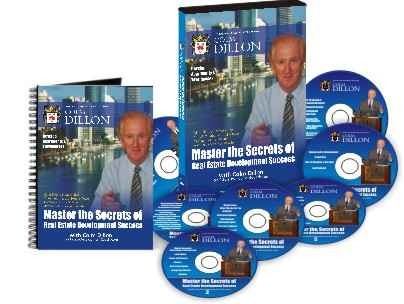 My last DVD is a two hour interview of me by a Development Manager, Jack Tifin, on development topics he felt should be covered as part of a complete record of the first development Seminar or Workshop held in the USA. So there you have it, if you would care to learn more.